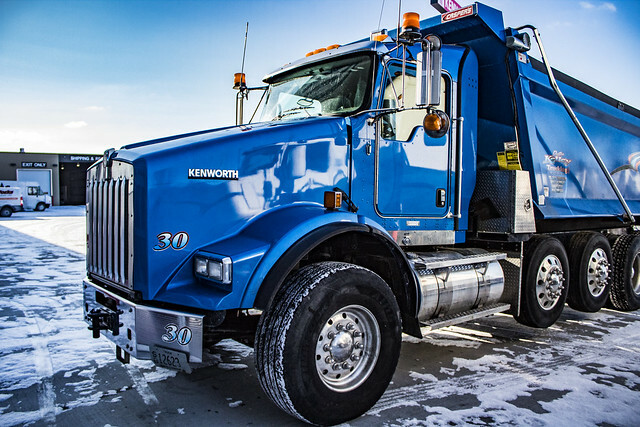 Kenworth T800 | CSM Companies, Inc.
It’s easy to understand why so many professionals would rather go to work in a Kenworth than any other truck on the road. From floor mat to headliner, the Kenworth T800 has been ergonomically fashioned for comfort, productivity and precise control. The T800 cab features plenty of legroom – belly, knee and elbowroom, too. The state-of-the-art dash utilizes multiplexed electronic instrumentation and large, easy-to-reach switches and controls. Then there are all the subtle things you can’t see – you simply have to experience them. Like Kenworth’s high performance heater/air conditioner with the motor thoughtfully mounted on the firewall to minimize cab noise. The flatter toe board angle and suspended throttle and clutch pedals that reduce leg strain. And the perfect fit and finish of Kenworth craftsmanship.